THE BELOVED ANNUAL TRADITION THAT SIGNALS THE GREATEST TIME OF THE YEAR IS FINALLY UPON US. Since 2007, the Gingerbread Festival has hosted performances by the talented young singers and dancers of Suwanee Performing Arts’ Sounds of Suwanee and Suwanee Ballet, a gingerbread house contest, and an interactive telling of The Nutcracker by Suwanee Academy’s own Ms. Bernie during an intimate tea party. There’s a lot of fun to be had this year, so don’t miss out! 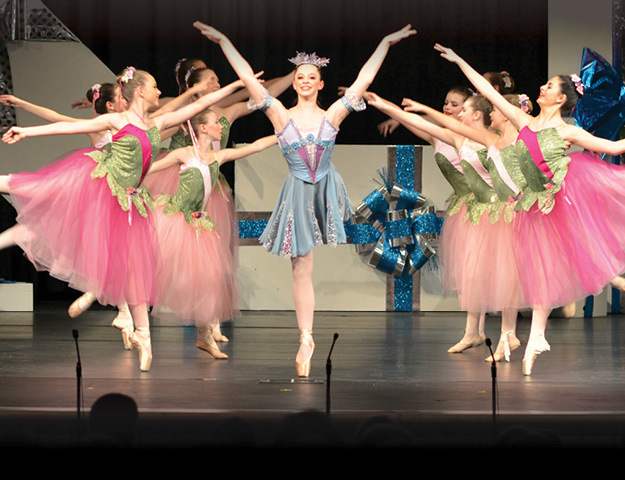 In addition to all the merriment at this year’s Jingle in the Park (read more about it here), the Suwanee Ballet will also be performing. This year, Suwanee Academy of the Arts invites you to bring the gingerbread house you created at Jingle in the Park to their HQ (341 Main St., Suwanee) for display. While you’re there, vote on your favorite gingerbread house. The Most Popular winner will be announced after the Nutcracker Tea on Sunday, Dec. 9. Get ready for a fun-filled evening in which The Actor’s Company presents a side-splitting improv show highlighting the fun side of Christmas. $10. Sat., Dec 8th, 7pm at the Suwanee Academy of the Arts “Mainstreet Playhouse,” 341 Main St., Suwanee. Imagine an enchanting tale brought to life through magical storytelling and delightful dancing by the Suwanee Ballet. $28, $10 for an extra observer. Sat., Dec. 8th, 11:30am and Sun., Dec. 9th, 3pm at the Suwanee Academy of the Arts “Mainstreet Playhouse,” 341 Main St., Suwanee. Selections from The Nutcracker will be performed by the Suwanee Ballet, where you’ll see everything you love about the classic holiday ballet, including dazzling costumes and exciting performances. Sat., Dec. 15th, 11am, 3pm and 6pm at The Eagle Theatre, 5029 W. Broad St. N.E., Sugar Hill. For more information about the Gingerbread Festival, and to purchase tickets, visit www.suwaneeperforms.com or Suwanee Academy of the Arts’ Facebook page.